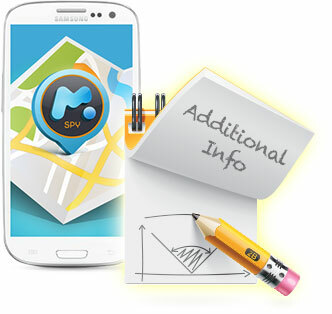 In addition to utilizing all that mSpy's features have to offer, you can also access supplementary information about a monitored device. How much battery remains on a monitored phone. The Internet connection:Wi-Fi or cellular. Who the phone's service provider is. Why will you find this information useful? If you are unable to reach your employees or children at certain times but don't know why, then this feature can shed some light on what the reason for their non-responsiveness is. Use this feature to know if their phone battery has died, or if they have lost internet connection capabilities on their phone.